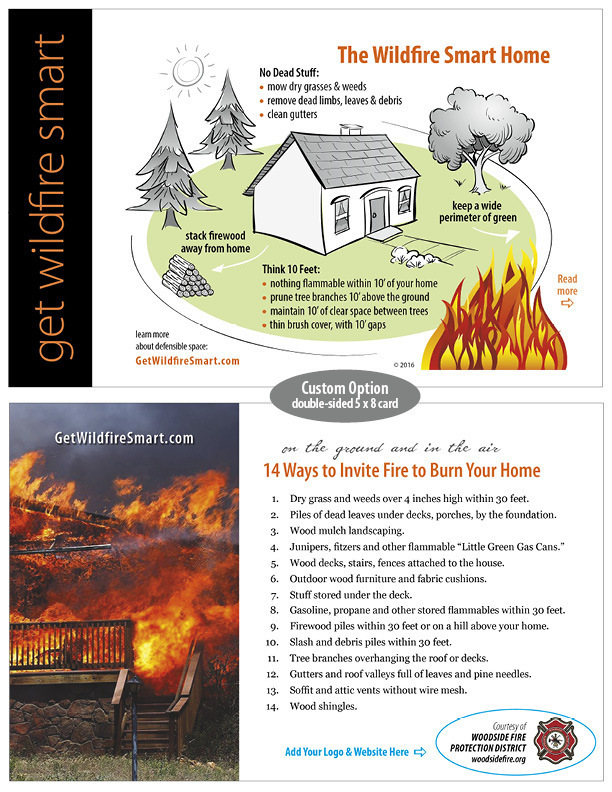 Maximize your marketing efforts by adding your logo, name and website to the Get Wildfire Smart postcards. 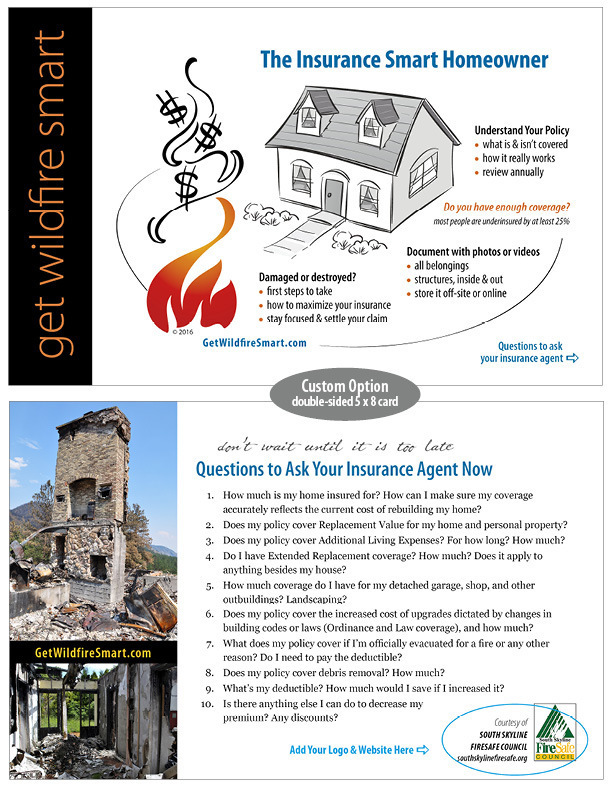 Choose "1" quantity if you are imprinting your logo on one reference card; choose "2" if you are ordering the set of both reference cards. This charge is for the artwork setup only. Don't forget to also add the cards (individually or the set) to the shopping cart in whatever quantity you want. Minimum number of cards for custom imprinting: 100 of either card or 100 sets. To send us your logo, please use the UPLOAD FILE button before you add this item to the shopping cart.